For many of us, the most exciting part of welcoming a new member of the family is setting up the baby nursery for them. It’s where you get to stretch your creative muscles and have a space set up with the design in mind as unique as the family or as unique as they dream for baby to be. There is no wrong way to go with your aesthetic, it is your home and your baby. If safety, sanitation and baby’s happiness are first in consideration, that is all that matters. When you start however, you have so many ideas. They are all over the place and you have no idea where to start. Ta-Da! Here is a guide to help you along with getting you started. When setting up a nursery, there are a few things that are paramount. Of course, number one is a baby, but what does the baby need to be comfortable and happy. A nanny would be great, but we can’t all afford one. A quiet neighborhood for the family is another. Without the superpowers to silence everything and everyone while baby is napping or unlimited money to move at a moment’s notice, we have what we have. Joking aside, here is a baby nursery checklist for things you absolutely need. Baby needs a place to sleep, baby nursery bedding, monitors so family feels safe leaving the room for baby to sleep, changing table, diaper pail, baby nursery dresser, mobile, nightlight, clothes hamper, and a baby nursery chair for parents to sit while feeding baby. Designers at the spruce say that when setting up your nursery decor, a baby nursery theme or style makes it easier to approach the project cohesively. First, you want to find your inspiration, go through Pinterest or Google nursery designs. Once you have your inspiration, then you choose an aesthetic or theme. A basic color scheme is the best way to tie everything in together, especially if you have a hodge-podge if hand-me-down baby nursery furniture. If you are looking to have coordination between everything, before you go and grab your wallet create a mood board. A mood board is a designing tool that interior designers use to create a cohesive design. The take thumbprints or clips of things that they like for a space and put it all on one board. This allows them to see how it all coordinates together. 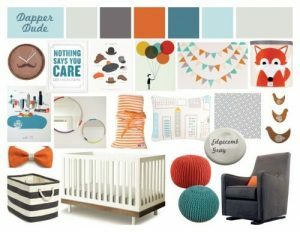 If you are stumped on how to get started or want some templates nursery mood boards has a few that can help inspire you. When at this point, do not look at dollar signs, it’s all about the look. You don’t need to get the exact piece, it is about establishing the image at this point. If you end up overwhelmed with images that you love, choose a color or image to tie in the baby nursery ideas. A good rule of thumb is to pick out your wall color last as the final tie in for all your pieces. Designers and infant behaviorists recommend to add nursery décor on the ceiling as well. Baby will be on their back most of the time, so that will be the focal point for them. If you still feel lost, you can try out a virtual nursery design tool. Since this little guy’s name is Jonah, his parents the designed his nursery around the biblical story of Jonah and the whale. Some families design their nurseries after teaching methods that incorporate sleeping patterns and ease of access to areas of sleep. This family designed their room with the Montessori method in mind. You’ve found your inspiration and want to work out how to make it real. Now you can start putting together your room. Start off by installing a ceiling fan in the room, if there is not one. The American Medical Association published a study showing that a ceiling fan in baby’s room reduces the risk of SIDS by 72%. With those kinds of odds, that is an investment you should not turn a blind eye to. Next, you should be picking up the large necessities that would make moving into the nursery later more of a problem. Remember, they do not need to match. If you find pieces that speak to you, just find textiles or other items to pull the room together. Shopping for a crib isn’t just about fitting it in with the look of your room. There are safety concerns that you need to be aware of when purchasing. That is where the flexibility in your mood board comes in. 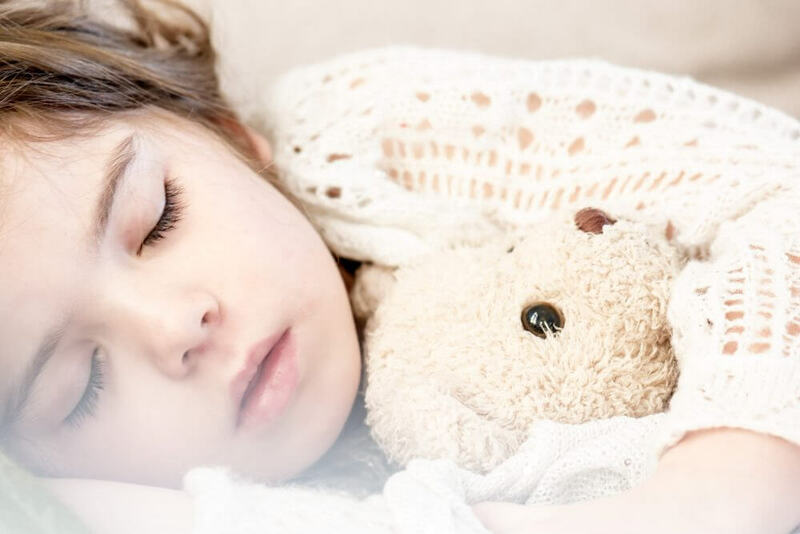 The Consumer Safety Product Commission (CSPC) has guidelines for ensuring that your baby has the safest and most restful sleep possible. This may put a dampener on what you were hoping for some of your design choices, but safety triumphs over visuals any day. Do a thorough check on the crib and verify that there are no gaps larger than two fingers between the sides of the crib and the mattress. If the crib is one that is some assembly required, please be vigilant in following the instructions. If there are any issues that you encounter, do not be afraid to contact the manufacturer. It will ensure your baby’s safety. The CPSC recommends not to use a crib over 10 years old, modified or broken. The best bet is to purchase one new or manufactured after 2011. Kids Health further recommends that the side rails should be fixed. CSPS had banned the sale, but if you are gifted one it would be best to respectfully decline. Adjustable side rails fall very quickly and have been known to severely injure little ones. Slat/ bar distance should be 2 ¾ inches or less so infants do not get their heads stuck in between them. If there are corner posts on the crib, they should be flush with the top of the headboard and footboard. Otherwise they should be over 16 inches to prevent strangulation. Otherwise, there are many options you can choose from for cribs. Standard cribs are the type that are not convertible, but tend to be less costly. Many are also collapsible for compact living situations. They are most ideal for temporary living situations, if you are planning on having multiple children or are on a budget. Conversion cribs grow with your baby. As they get older, the mattress drops so that they are not able to get out of the crib. Some convert from there into toddler beds and others even further into frames they can use until they buy their own bed. These beds have form and function, you only need to buy one bed frame and just need to buy a mattress and/ or box spring with each major conversion. These are the most popular models; the downfall, is that you will need to keep track of the conversion pieces for the lifetime of the product. When space is a concern, fitting as many uses in one product can be your best friend. It can also save you time, energy and money with finding and moving the product. With every piece of baby nursery furniture, you bring in there are safety considerations you will need to know about. WebMD posted an article to aid in ensuring total changing table safety for babies. Please keep these items in mind when you purchase your table. It needs to be sturdy, railing on all sides that is 2 inches high. The middle of the table is slightly concave. A safety belt is available to fasten the baby in while changing (they are very wiggly even when they are very little). Your changing supplies must be in easy reach so that you have a hand and eyes on your baby the entire time they are on the table, without being in the baby’s reach. Seating in the nursery is an absolute must, for the parents. Late night feedings or a quick snooze while little one finally gets one themselves. Don’t just pick the first one you see though because you think it has a vibe. Test it out. You will be spending a lot of time in this chair. When you sit in the chair, keep in mind that you’re going to have a ticking time bomb in your arms. You buy that beautiful chair that really ties the room together, but it’s a little uncomfortable when you sit in it. You make the sacrifice for style. 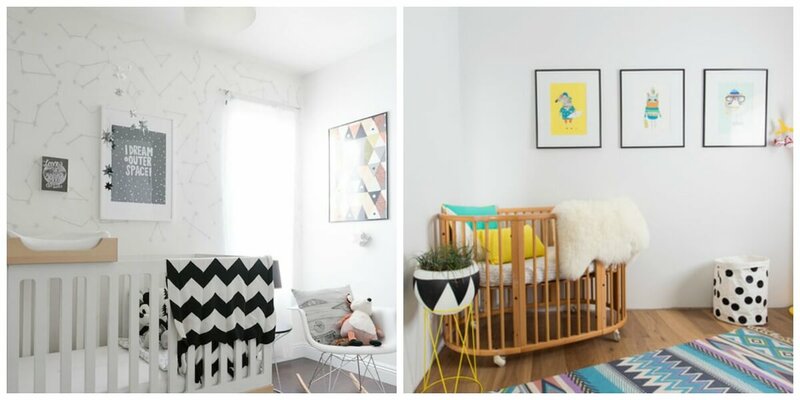 You want to show off that gorgeous nursery with your beautiful baby. 2:30am rolls around and your little bundle wakes up squalling and hungry. You sit in the chair while baby feeds, you try to stay still so baby can eat but the discomfort turns into a mild pain. You try to shift and it causes baby to whimper because all they want to do is eat and get back to sleep. You finally get situated and baby finishes. You try to get baby to burp, but don’t realize until it’s too late that you forgot to grab a receiving blanket. Now not only do you need to change your clothes but the awesome chair is splattered with spit-up. When picking out that chair, make sure it cradles your back and you can be comfortable in it for extended periods of time. Is it safe for the wiggle monster? If it reclines, it shouldn’t be the type you just lean back and recline in. The buttons should not be easily accessible to them either. The arms should be well padded to make feeding baby more comfortable on your arms. You should be able to get in and out of it with ease. Remember, you have a ticking time bomb. If you’re rolling and jerking around to get out of that chair after baby has finally gotten to sleep, you’re starting all over again. Make sure it’s something that you both can grow with. It can go from a feeding station, to a story time area, to a reading nook, a homework spot, hang out spot, place to talk on the phone and maybe eventually late night feedings for their kids. Gliders are arguably the most popular nursery chairs. They are easy to get out of, comfortable, the gliding motion is smooth and soothing, the ottoman glides as well. These aren’t your granny’s rockers. Though granny’s rocker will always be something you look on fondly, it wasn’t always the most comfortable after long periods of time. Wicker and wood is good for a short sit, but agony for any longer. We think we have it tough. These are essentially armchairs and rockers combined. Dorel Home Furnishings - Misc. 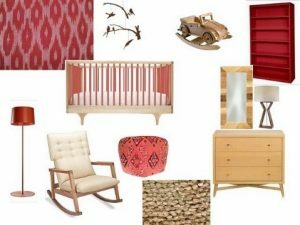 Now that you have your main pieces, it’s time to start staging to get a physical idea of your baby décor. Once you have the pieces staged it will help really snap into place the visual components of how you will want the room to be set up. You will have a better idea of your special needs and what you are really working with instead of just what you are dreaming of. WebMD has some suggestions that will help with determining placement of your crib. Though the idea of seeing your baby’s angelic face bathed in sunlight as they doze peacefully, the crib shouldn’t be near the window. If you have blinds or curtains, those are hazards for baby to get tangled up in. The same goes for electrical cords, those look like fun things to pull on and chew. If you have heavy shelves up on the walls where you plan on putting the crib, you should relocate them. They may look sturdy, but you don’t want to risk them falling and hurting the baby. A good area to have the crib would be near the door, so there is less fumbling when you are bleary eyed during those late-night feedings. Once the crib is in place, it will be easier to find a home for the chair and changing table. When the large items are in the room, everything starts to fall into place quickly. Now you want to construct your design, but you need to figure out how to orient it. The main idea is to focus the main nursery décor around the crib, because it is the first place your eye will naturally concentrate on when coming into a nursery. It is the baby’s room naturally, but there may be other parts that may be better focus. The room may have a gorgeous deep-set window with a scenic view, that might be perfect for a multi-purpose window seat. That is where your main décor will be and the rest will branch out from there. You have your perfect color design chosen. Now it’s time to go shopping! Designers all say that their golden rule is that you buy soft furnishings before painting. If you’re crafty or have family members who are, then you can go to the fabric stores and coordinate the perfect drapes, rug and bedding textiles for the nursery. They will also cut samples for you to have for coordinating with your paint mixer. When you go to your paint shop, make sure that you pick up VOC-free (Volatile Organic Compound) paint. The EPA says that they can increase baby’s risk of having cancer later in life. If the VOCs end up in the drinking water, it could have effects on their reproductive or developmental capabilities. When picking up drapes for baby’s room the gauzy or gossamer ones seem gorgeous, but they’re not going to be very helpful when naptime rolls around. Blackout versions will not only help keep the light out of the room that might wake baby, but will keep out daytime noises as well. This is another item that will be growing with baby. The most important aspect the rug will be involved in is baby’s tummy time. The Mayo Clinic describes tummy time as certain times during the day where baby works on their back and neck muscles by laying on their tummy. You start off laying them for a few minutes a day over your legs, until they can hold their heads up. Then they can transition to a blanket on the floor surrounded by toys and under supervision. The rug will be the safe area where baby will do the tummy time. Though you really want to get all the quilts, padding and all the extras that you have seen go onto a crib; it is strongly advised not to. Kids Health and CPSC both state that a bare crib is safer because it reduces the risk of strangulation. Pillows and blankets can be used for outside of the crib and for the parents. The paint and textiles are all ready to go and now it’s time to decorate! Less is always more, remember your focal point and find some other key points for sub points of focus. Wall décor can be a beautiful mural painted on the wall, stickers, clings or accessories. They can be whimsical or with form and function. The nursery is looking gorgeous, but now all the gifts are coming in and you need to start finding places to put everything! You can DIY the solution using wall hanging planters, over the door shoe hangers. There is no real way to go wrong, just don’t go too crazy and over-fill your space. Now that the nursery is all set up, it is time to put in the finishing touches. It is never too early to get the baby proofing established. 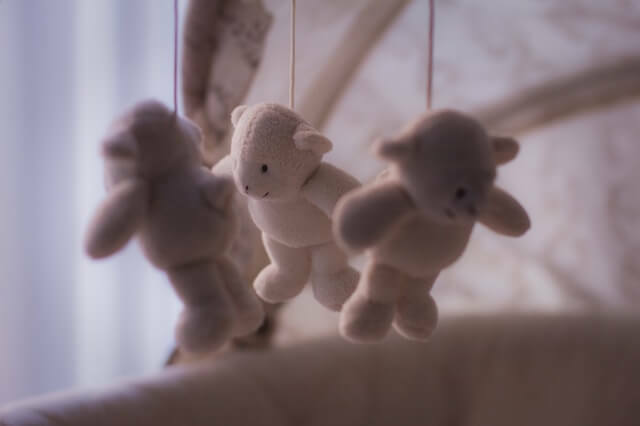 You can call in a professional to assess your nursery and show you what you can do to keep your little one safe, but a little research should suffice. The CPSC is the best place to go and find all the information you need on recalls, safety guidelines and procedures for everything. For peace of mind, you will also want to put in your baby monitor system and test it out. You want to be sure that all is in full function before you absolutely need it. It may not be an absolute necessity, but a cold mist humidifier should be in as well. It will be a lifesaver for the eventuality when baby comes down with their first ailment. 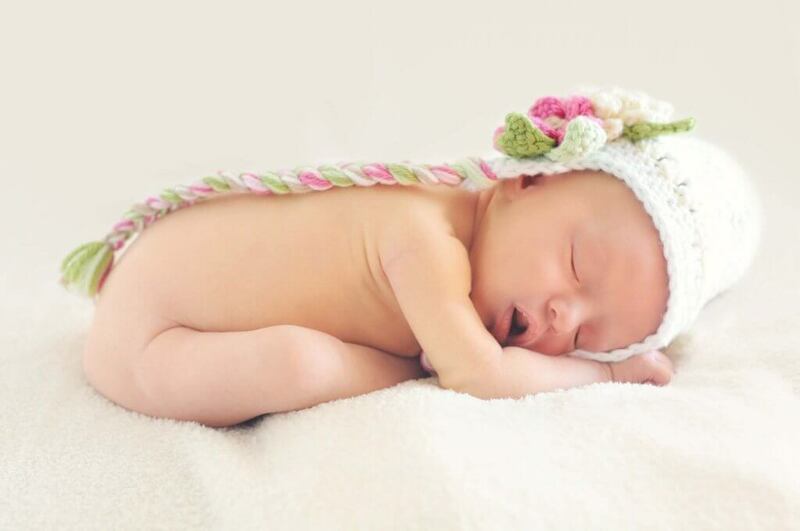 It is also a great white noise generator that helps baby stay asleep and self soothe. When baby is sleeping, you don’t want to miss them starting to stir and need you. You can’t hang your entire day on waiting for your baby to move or make a noise either. That is why you need a good baby monitor, preferably one with video and night vision. Then you can get things done and baby can rest without family checking in constantly. You’re all done, well other than adding a baby. You may want to add a few items here and there, that’s fine it’s your home and your baby. It is going to change, don’t freak out when it isn’t in your control. Don’t forget that babies are messy and can’t control their messiness. So, I hope whatever upholstery you decide on is washable or you have invested in a good steam cleaner. Otherwise, you now have your beautiful nursery! Enjoy it!